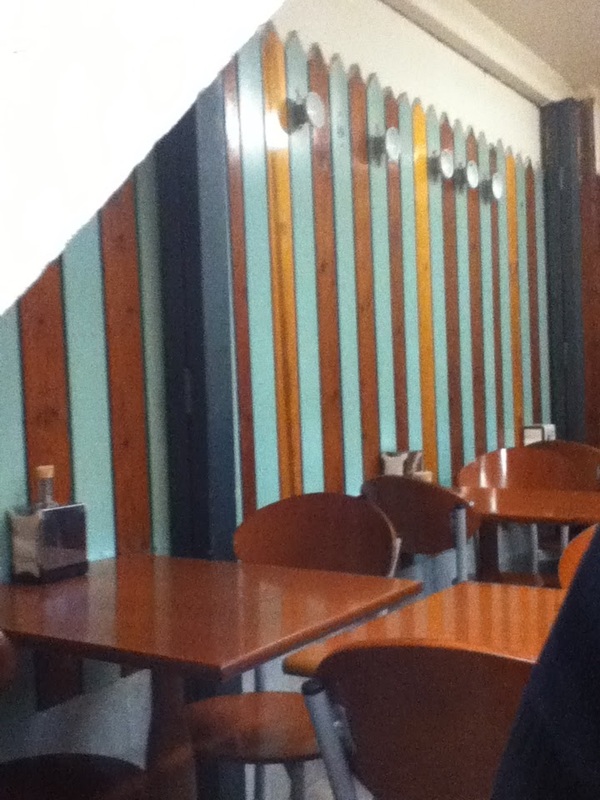 Galician tapas bar and pulpería (bar specialised in serving octopus) with natty 1960s décor. Nice touches include the little white ceramic bowls used variously to serve wine (sold by the bottle only) and as coat hooks. We especially liked the long, horseshoe-shaped bar piled high with octopus ready for the eating, as well as the good-looking trays of tapas. 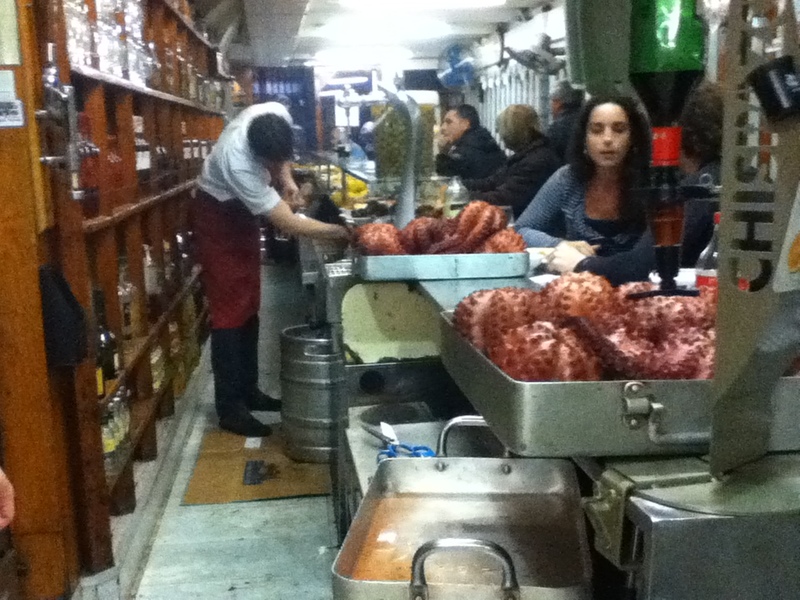 Lots of seafood, with octopus and Galician dishes a particular specialty. We weren’t too impressed, but did like the fact that you could buy a British-sized beer. Jarras (massive big jugs) of beer. It seems as though Bar Celta has become another victim of Guidebook Syndrome – a nice, neighbourhood place gets mentioned in Only Planet or Time Bout and BAM! They start charging €6 for 6 squid rings. The food was, despite first impressions, not great and distinctly overpriced. Passable, but not really worth the visit in a neighbourhood jam-packed full of awesome, authentic tapas bars.